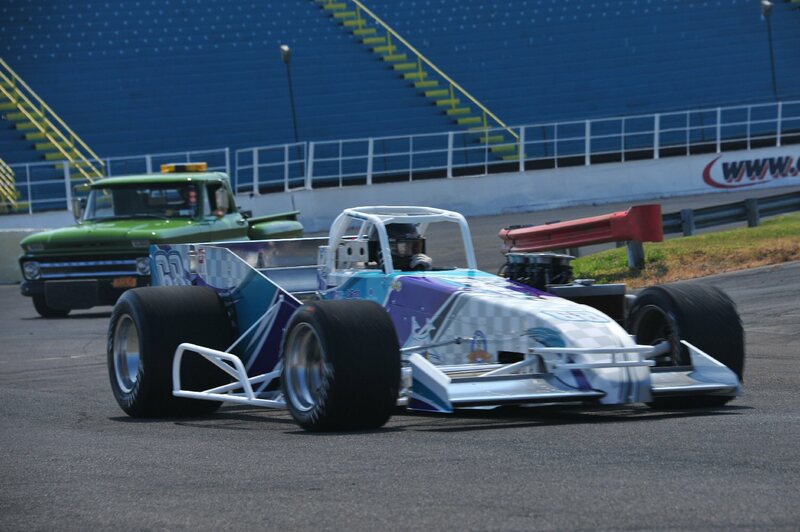 Syrell Racing and driver Michael Barnes figure to be a major player in the battle for Oswego Speedway's Novelis Supermodified championship in 2015. OSWEGO, NY – Syrell Racing has fielded a Supermodified at Oswego Speedway for over 25 years, and in 2015 the veteran team believes all the pieces are in place for their best chance at a championship run with crew chief Joe Hawksby Jr. and driver Michael Barnes. Syrell Racing and driver Michael Barnes figure to be a major player in the battle for Oswego Speedway’s Novelis Supermodified championship in 2015. With the current team lineup brought together in 2014, Barnes drove the Syrell Racing No. 68 Hawk Supermodified chassis to 8th in the championship standings with two features wins, despite missing the opening event of the season. With all parties back on board for ’15, and all Speedway events in the team’s plans, Syrell Racing co-owner Eric Syrell believes the family run operation finally has the perfect combination heading to the Speedway’s 65th anniversary season. While Syrell and McKnight came close to an Oswego championship in 2011, the team fell just short. With last year’s introduction of both Hawksby and Barnes into the mix, failure has been erased from the team’s vocabulary. Barnes has seven career Oswego Supermodified victories, coming with three different teams. Voted as the Speedway’s Turning Stone Resort Casino Favorite Driver this past season, Syrell says that Barnes brings more than his driving ability to the table. While on track results is the common identifier of a championship effort, Syrell Racing also believes that making its team accessible to fans and sponsors alike, is another key component to becoming a champion. Recently, the Syrell Supermodified was on display at the Oswego County CiTi 10th grade orientation. From top to bottom, Syrell Racing’s focus on 2015 is undeniable and the team’s aspirations of battling the recent championship stronghold of Nicotra Racing and Otto Sitterly, look to be a reality. Fans can see it all play out as Oswego Speedway’s racing season officially opens on May 9 with the running of the Race of Champions Modified Richie Evans Memorial 75 as well as the Novelis Supermodified Kickoff and the lid-lifter for the Pathfinder Bank SBS series.